We only need 2 business days notice to grant you access to your modules. Two movers – Billed on 15 minutes increments ($35). We only charge from arrival at the collection address until the loading/offloading of the modules is completed on site*. *No call out fee charges for locations within 15 km from our depots. Third mover – $50 extra per hour. Bring your own contents to our centrally located storage. You only pay for our affordable montlhy storage cost per module -$120 each. (Discounts apply for 3+ months stay). You can access your modules as required from 9:00AM to 4:00PM, Monday to Friday and 10:00AM to 2:00pm on Saturdays & Sundays in Sydney, no access on Sundays in Melbourne. You only need to give us 2 business days notice. 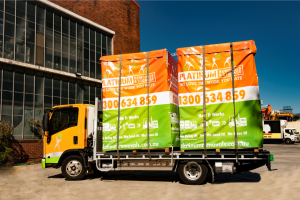 Platinum Removals & Storage offers safe and secure storage facilities within minutes from Sydney and Melbourne CBD. Not only will we help you move homes safely and efficiently, but we can now also help you to give your items a temporary or more long term home if you need a solution for putting your items away to a safe place while you’re in transit. If you’ve ever worried about having to coordinate overlapping leases or that you won’t be able to get a new set of furniture for the new house, simply because you have no place to put your things, don’t fret any longer and contact us to put your items up at our brand new facility! Together with our acclaimed Sydney & Melbourne moving services, we’ll deliver the mobile storage units to your home. You can set aside the things that you don’t need for now and you can take your time to get the storage unit organized and loaded up. 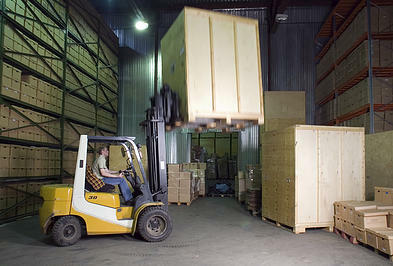 We’ll help you move your items safely in the storage unit to our secure facilities until you next need them again! You’ll have the freedom to handle things around the house without being encumbered by unnecessary items. Yet you’ll have easy access to your things when you need them back and you will wonder why you had never thought of keeping your things in storage before! Our Storage Units are spacious! Each of our storage units fits a room full of items perfectly. This includes all sorts of furniture, cupboards and odd-shaped items that you may have. We want to make sure that you get only the best quality storage and you’ll be glad to know that our wood composite material allows resistance against mould and mildew while protecting the contents from all sorts of weather conditions. But the best part about our mobile storage unit solution is that we come right to your doorstep so you get a comprehensive moving solution all in one! Our movable storage units are all that you need for a smooth and easy transition when you are moving. If you’re thinking about moving but have way too many things to think about, our storage units are the perfect solution for you. Get some of your things out of the way by loading up our storage units in the comfort of your home and trust us to take good care of everything at our safe and secure storage warehouse. At the same time, we provide moving and packing services and insurance too, so you will really be getting a solution that answers all your problems with Platinum Removals! Just like our moving services, our storage services are just as transparent and clear cut. You won’t ever find any hidden costs for the services that you receive from us! When it comes to serving you, just as packing and insurance are extra services that we offer you, you can craft your own storage solution with us to fit exactly what you need. Just let us know how many storage units you need, how long you need to store with us, and where you would like your storage units to go after your move has been completed. 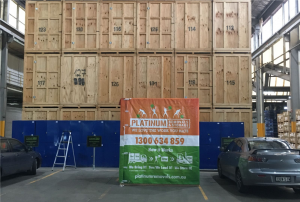 Those looking for high quality storage in Melbourne and Sydney will find that Platinum Removals combines the best value with the most convenient service anywhere on the market. Our storage containers are light and airy, providing total security in a weatherproof atmosphere perfect for maintaining the quality of all types of home and office materials. With an exterior made of wood composite, our storage solutions in Sydney and Melbourne are strong enough to safely hold nearly 1 ton of materials, giving you more than enough strength to hold your furniture storage, books, blankets, kitchenware, clothing and everything else until you’re ready to move them to your new location. Best of all, our storage units are entirely mobile, meaning we can come right to your address and let you fill up each unit with your own possessions. We then pick the unit back up with our truck, and transport it carefully to our designated warehouse. 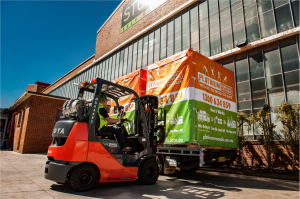 With ideal technology solutions such as our special mobile units, self storage in Sydney and Melbourne has never been easier. When it’s time to pick up your possessions, let us know in advance and we’ll drive your storage unit right back to you, so you can unload it yourself at the location you wish. Of course, our strong team is also more than willing to do all the heavy lifting for you at both ends of the exchange, so you can leave all the hard work to us if you like. Each storage unit comes with 10 cubic metres of space, and is held at our warehouse on a per-month basis. Additional units are available for larger storage needs, and we include 10 free blankets with each storage unit, to cushion the edges of your furniture and other large possessions. Our services for storage in Melbourne is open from Monday-Saturday, and for Sydney we’re open 7 days a week.